There are a lot of things that can push a good movie into great movie territory: a fantastic performance, a memorable score, or a unique look all can turn a so-so film into somebody's all-time favorite. Some even subtler things can elevate a movie to a classic worthy of study, such as the editing, the blocking, or the sound. It is rare, I would say, for some of these subtle things to affect a movie negatively, but unfortunately I think that is the case for Ben Wheatley's Free Fire. Free Fire tells the very tight story of a gun deal in 1978 that goes horribly (and comedically) awry. Between the macho dealers, the deadly serious buyers from the IRA, and the mediators in the middle, everything that can go wrong does go wrong. The film's timeline is essentially in live time, as the 90-minute run time exclusively covers the deal and ensuing shootout in an abandoned factory warehouse. The things that work in Free Fire work fantastically. 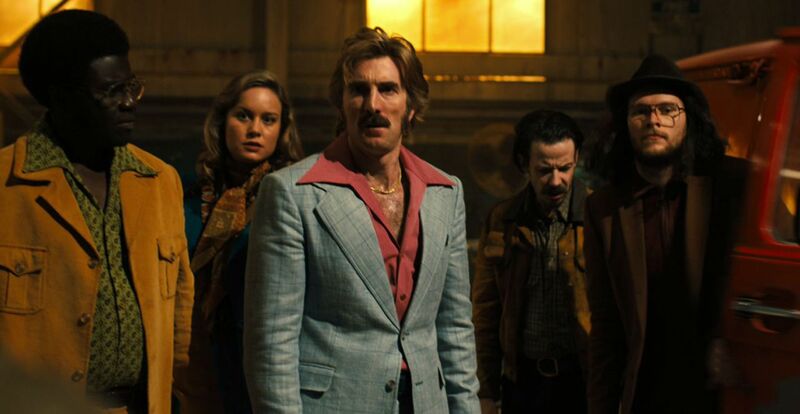 The biggest advantage it has is its cast; Sharlto Copley, as always, does a phenomenal job as the sleazy gun runner Vern, who can't help but run his mouth, spouting one-liners ("Watch and Vern!") that elicit eye rolls from the other characters. Armie Hammer is charming and confident as Ord, the mercenary mediator. It's becoming clear that he could potentially have a strong career with these kind of stylish period piece roles. Brie Larson, ostensibly the star of the film, is unfortunately critically underused. Her character takes a backseat on screen time once the shooting starts, and outside of a few good moments towards the end, isn't really in on the action as much as I would have liked. The soundtrack and look of the film are great, and Wheatley does an excellent job crafting a very funny and unique story within very particular confines. However, it's the subtle things that knock Free Fire down a peg: the sense of space and the editing are quite poor throughout the shootout that lasts for the bulk of the film. Creating a strong sense of geography is difficult in the span of a 90-minute movie, but for one like this that takes place all in one location and involves a myriad of characters in one extended action sequence, it is absolutely essential. Think about the house in the Simpsons–if you've watched the show, you could probably walk in a model of that house and know your way around. Similarly, the best action films create a real sense of space so that the action is intelligible and meaningful: think of the House of Blue Leaves swordfight in Kill Bill and you know that despite the dozens upon dozens of characters, it's always clear what is going on. The factory setting of Free Fire only has a few defining locations, such as the brightly colored van that the guns themselves come out of. It is made up largely of broken concrete blocks that are difficult to tell from one another. Because of this, coupled with editing that doesn't allow the camera to move from one space to another without cutting, it is extremely difficult to get a firm grasp on what is happening. I remember thinking at one point that one scene was just a bunch of cuts of people firing guns, and I had no idea where they were or who they were shooting at. Now, there is a caveat to this complaint: the movie is supposed to be confusing. Part of the comedy of the film is that it's nearly impossible to track who is on what side or who is shooting at who, even for the characters. That said, to me it felt more than confusing, it felt unknowable at times. Adding to the chaos of the story through the technical arts of cinematography and editing would be a viable path, but when the story is so narrow and so laser focused on one location and set of characters, I need to actually have an idea of what is going on amidst that chaos. 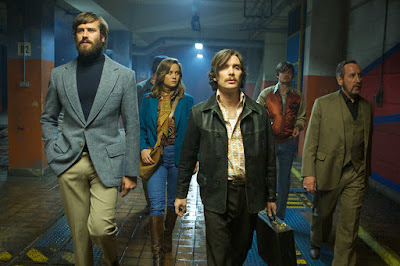 Free Fire is an incredibly brilliant and fun concept. If you go into it expecting nothing more than a bunch of gun fire and witty wordplay from a great cast of actors, you'll walk out satisfied. For a unique action film that pushes boundaries, it's painfully close to being something really special, but loses hope of being truly memorable because of the vagueness of the details. 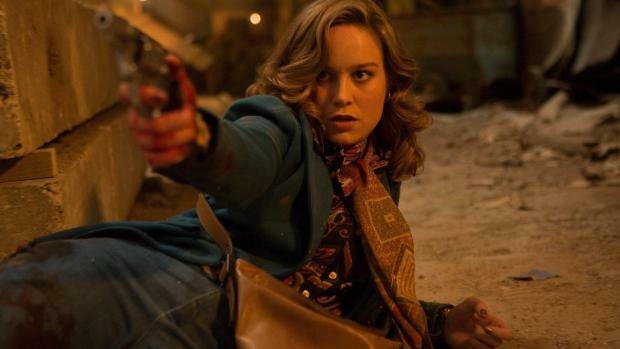 Free Fire is directed by Ben Wheatley and stars Brie Larson, Sharlto Copley, Armie Hammer, Cillian Murphy, and Michael Smiley. It opens in theaters this Friday, April 21st.